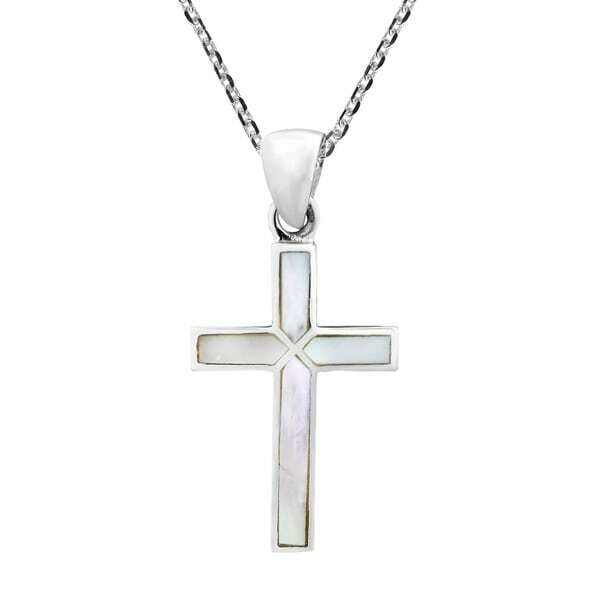 Celebrate your faith with this Christian Cross necklace by artisan Yuu. The expertly designed piece features inlaid stones that adds to its uniqueness and beauty. The necklace includes an 18 inch sterling silver chain. Please note that pictures are not true to size, see dimension for actual size. Dimensions 2.0 In. X 1.0 In.